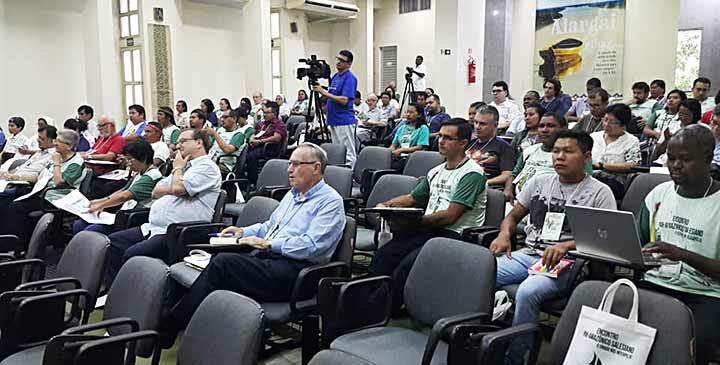 Manaus, Brasil, 4 November 2018 -- From November 1-4, 2018, the Salesians (SDB-FMA) in the Amazonian Region gathered in Manaus (AM) to reflect upon the 125 years of missionary activity within the territory, the challenges of the present, and lines-of-action necessary to plan for the future with renewed vigour. 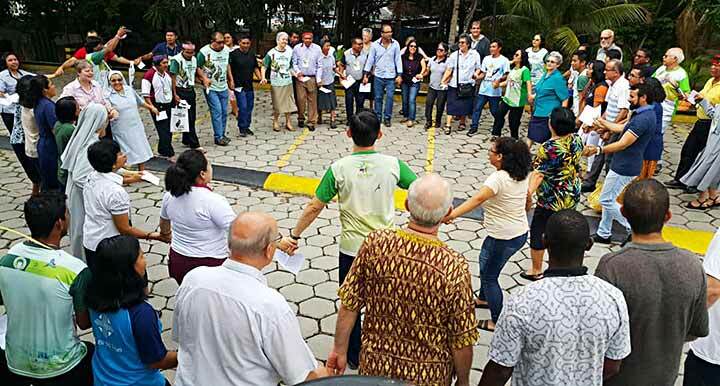 More than 100 SDBs, FMAs, lay catechists, ministers, coordinators and experts from different provinces, experts, indigenous peoples, and other religious sisters were invited, enriching every session. Note: This meeting involved three missionaries from EAO: Fr Agustin Togo, SDB (INA) from Ecuador working with the community of the Achuar, Br Jose Maria Castillo, SDB (FIN) from Brasil-Manaus, working among the interior river Catholic communities and youth centre, and Sr Úrsula Guimarães, FMA (ITM) from Brasil-Campo Grande among the Bororos. The speakers were (1) Fr Justino Sarmento Rezende, SDB, a native Tuyuka, member of the preparatory commission for Pan-Amazonia, who presented the preparatory document of the Synod and the Salesian vision of the synod; (2) Fr Juan Botasso, SDB, shared information on the in Salesian Missions in South America; (3) Jose Juncosa shared the socio-political, cultural and religious situation of the Amazon; (4) Fr Diego Clavijo, SDB shared his experience working with the Achuar and Shuar people; and (5) Sister João Gutenberg, FMS, from the'Rede Pan-Amazonica' (REPAM), presented Laudato Si' and the vision of the young people of the Amazon. Among invited speakers, Bishop Angel Davisson, SDB, a member of the preparatory commission for the Synod was also present. The General Councilors for the Mission Sector, Fr Guillermo Basañes, SDB and Sr Alaide Diretti, FMA, were present. 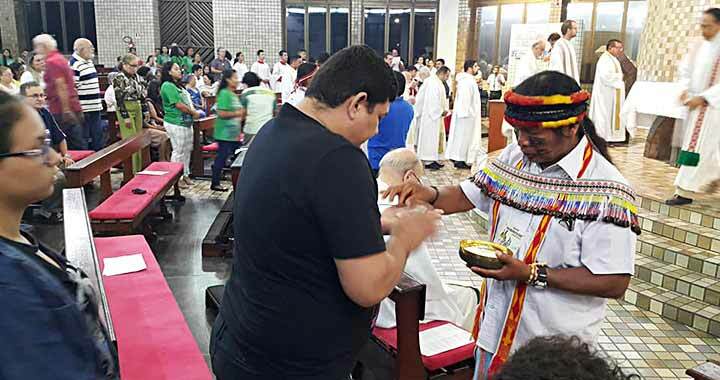 The permanent deacons from the Shuar-Ashuar tribe shared their ministerial journey. 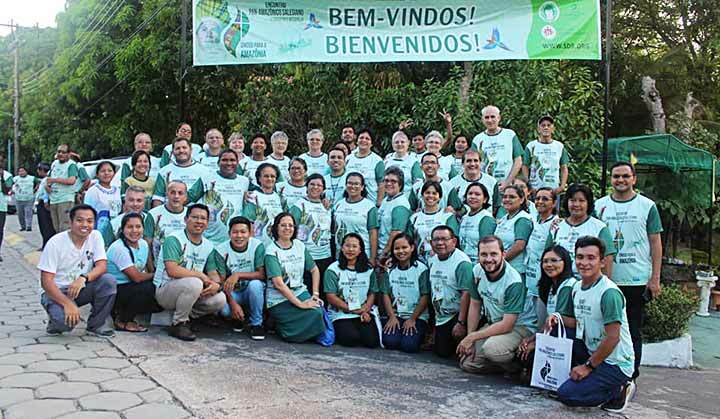 “We would like to be in harmony with the Church, preparing for the Synod of Pan-Amazonia,” said Fr Martin Lasarte, SDB, Missions Sector. The encounter is principally for the missionary presences of Pan-Amazonica: the provinces of Brazil - Manaus in the state of Amazonas (BMA and 2 FMA Provinces), Brazil – Campo Grande (BCG and 2 FMA Provinces) in the state of Mato Grosso, Columbia, Ecuador (ECU), Paraguay (PAR), Peru (PER) and Venezuela (VEN). During the small group meetings, provinces presented to the assembly a SWOT (Strength, Weakness, Opportunity, and Strength) Analysis of their context to help the participants. 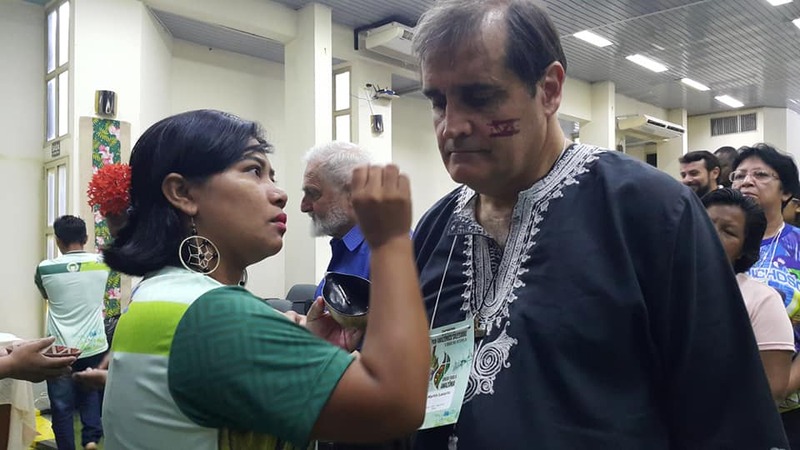 The last day, the assembly was divided into respective provinces and regions in order to propose lines of action for their respective missionary activities and for the synod proper. 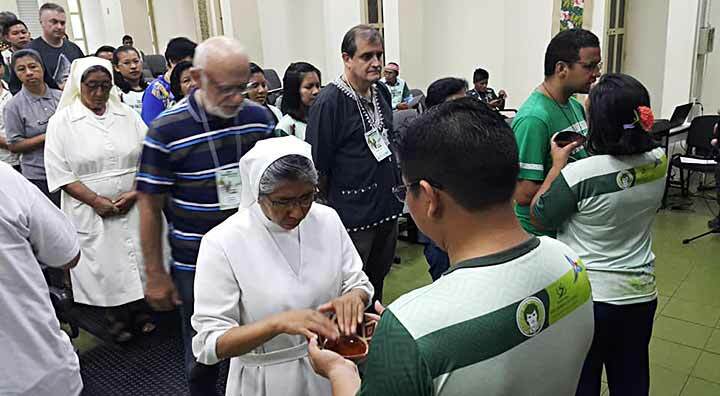 THE PRESENCE of the Salesian charism in Amazonia is very significant. 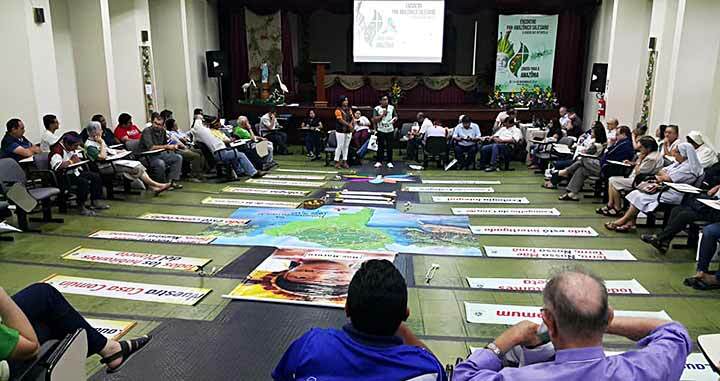 The Salesians are currently working in 35 mission communities in the service of the people who form no fewer than 44 ethnic groups: Xavante, Bororo, Terena, Guarní, Kaiowá, Kinikianau, Atikum, Guató, Ofaié, Ka-diwíeu, KuraBakairi, Tukano, Tariano, Dessano, Piratapuia, Hupda, Cubeo, Uanano, Barassanos, Mirititapuia, Ara-passo, Tuyuca, Carapanasso, Bare, Shuar, Achuar, Shawi, Kandozi, Wampis, Awajun, Kechua, Chapra, Kucamacu-camilla, Shivillo, Arawacos, Hiwi, Piaroa, Yanomami, Yekuana, Senema-Yekauana, Ayoreo, Maskoy, Ishir, Tomaraio. 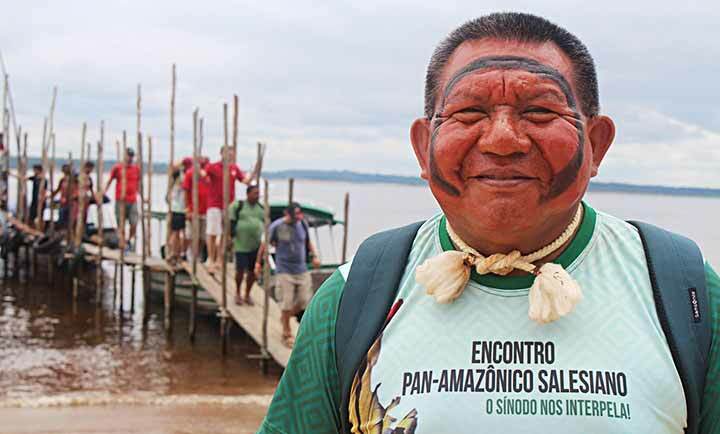 Aside from the presences among indigenous peoples, Salesians work in Pan-Amazônia among Catholic communities along the river systems and urban centres. All of these pertain to the vast and rich ecology of the region. 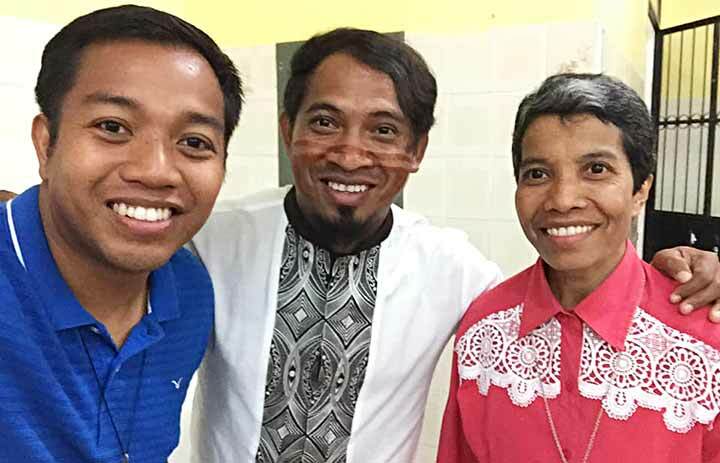 THE YOUNG PEOPLE of the immense and fascinating Amazon await the sons and daughters of Don Bosco to share the faith in the Salesian style, building together a Church which has the character proper for the Amazon, which may be not only the oxygen lung of the planet, but also a spiritual lung, where the encounter between Christ and indigenous cultures enriches all humanity. 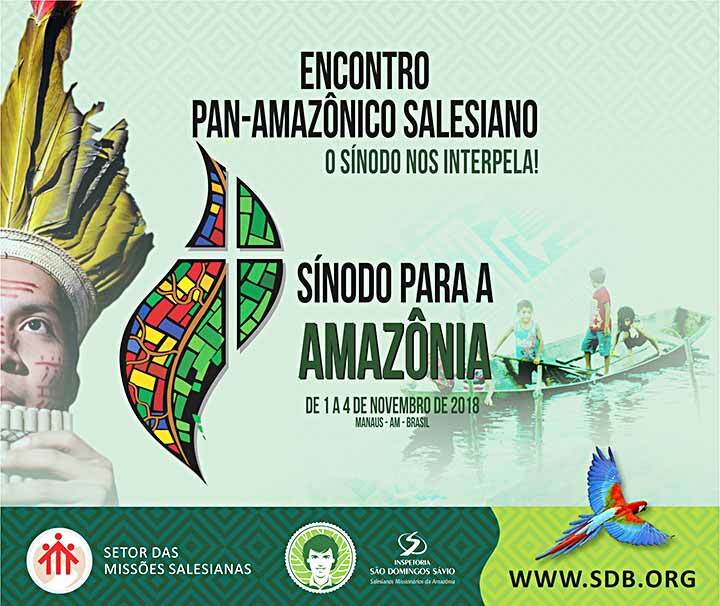 THE POSTER shows the rich and complex diversity of the region of Pan-Amazonia and the principal recipients of the Salesian work: children and youth. The images allow us to admire the urban centers, the life along the river systems, the mountains as sacred symbols, the flora and fauna. At the center, the poster has the logo of the Synod manifesting communion with the Church. The fruitful encounter ended seeing the delegates from different provinces with enkindled a renewed vigor, and with a strong commitment to continue with courage, hope and enthusiasm the Salesian mission among the indigenous minorities. 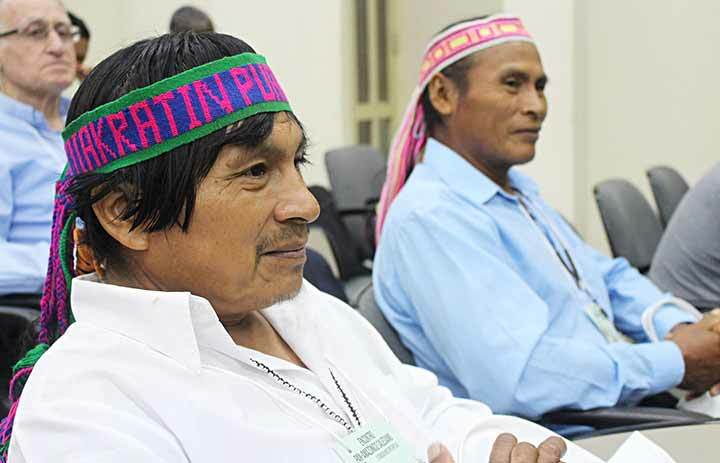 Permanent deacons from the Shuar-Ashuar tribe. Participants with Bishop Jose Angel Davisson, SDB (blue long sleeved shirt), pre-synod commission member.